In the previous three parts, we covered the key points about diet and nutrition and weight lifting to burn fat and reduce tummy fat. To develop a complete program that will help you achieve your fat loss goals, you also need a good cardio training program to help you burn some extra calories, help you increase your metabolic rate, and help you get rid of the tummy fat. While it is common knowledge that doing cardio helps you burn extra calories, there are many people who do not take the most effective and efficient approach to doing cardio which would yield the best results for burning fat and reducing tummy fat. Majority of people spend hours and hours on a cardio machine day in and day out, yet they still find themselves in similar shape with little to no progress to show for their hard work. Although they're on the right track about doing cardio to expend extra calories, they're not doing the right type of cardio workout, and they're not doing the cardio at the right time of the day for best results. Perhaps you maybe be stuck in a rut trying to reduce your tummy fat by doing endless cardio, but still find that you don't seem to be progressing much. One of the best ways to burn fat off fast is to do morning cardio - perform your cardiovascular sessions first thing in the morning. You will not get better results at any other time of the day. I'll explain why in a bit. By "first thing in the morning", I mean first thing - before you eat, or do anything else. Brush your teeth, washup, and do whatever you need to do when you wake up, then hop on a cardio machine and crank out a good, high intensity, interval based cardio training session. So why is it optimal to perform morning cardio for reducing tummy fat than any other time of the day? During your sleep in the previous night, your body goes through a 8 to 10 hour fasting period where you consume no food, during this fast period, your body's glycogen stores gets depleted. When you perform cardio exercises, glycogen is used up first before fat is mobilized as an energy source; therefore, when you perform cardio training first thing in the morning, your glycogen stores are already either depleted, or very low such that it takes very little cardio to burn off the remaining glycogen stores - at which point, your body begins to mobilize fat as a source of energy. Makes sense right? By performing cardio in the morning where your body is in a state of low glycogen levels, you can quickly work to burn off the remaining glycogen, and effectively burn off more fat than performing cardio at any other time during the day. Various research and studies have proven that doing cardio in the morning burns off more fat when the body is in a fasted state compared to other times during the day. Aside from the increased fat burn from doing cardio in the morning, it also energizes you and makes you feel good throughout the entire day, and one of the biggest benefits of morning cardio is that it increases your metabolism for hours throughout the day, helping you burn off fat faster. 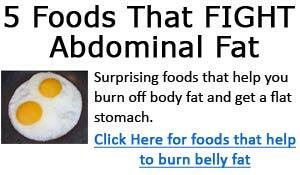 By burning off overall body fat, you will then be able to get rid of your tummy fat. Doing cardio first in the morning is a great way to burn fat; however, the length of your cardio session will also determine the effectiveness of your fat burning workout. There are individuals that spend hours each cardio session, performing each training session at a rather moderate pace. It's a bit waste of time if you ask me. Why? Because shorter, more intense cardio session work better to increase your energy expenditure. While performing long duration, low intensity cardio works burn more calories during the exercise, you stop burning the extra calories once you end your cardio workout. Comparatively, shorter duration cardio sessions that involve very high intensity burn less calories during the duration of the workout, but these intense sessions work to elevate your metabolic rate long after you are finished, resulting in naturally high energy expenditure. With shorter duration cardio sessions (for example, 20 to 30 minutes), you can performing these cardio training sessions with much higher intensity than you would with long duration sessions. Think about it for a moment, if you were to train at a very high intensity, you would not be able to maintain that intense pace for long periods of time. To accomplish the goal of achieving very high intensity, you may also consider using intervals during your cardio sessions. This type of cardio exercise involves alternating periods of explosive, high intensity cardio, with periods of moderate intensity. Because you can only maintain peak intensity for very short period of time (say 30 seconds to 1 minute), you must use intervals where you are training at peak intensity for a brief time followed by moderate pace cardio, and then start over again. High intensity cardio sessions help increase your metabolism, and help you maintain an elevated metabolism for hours after you've completed your workout. There are many approaches to using interval training. You can set your intervals to be very short and brief, lasting only 20 to 30 seconds, or you can set your intervals to be a bit longer with each interval lasting several minutes. You can always change things up by adjusting your interval times to keep things interesting. One of the best cardiovascular exercises to burn fat is the rowing machine. I have one of these myself, and would not trade this piece of equipment for anything else. It is a total body workout that puts more demand on your body than any other cardio exercise. My cardio sessions usually last 16 to 25 minutes, and occasionally over 30 minutes. I always use interval training for my cardio sessions, and I adjust the length of the intervals randomly all the time. For example, I might do 20 seconds at 100% peak intensity, and then follow that with 30 to 60 seconds of light to moderate pace, and repeat this several times. I may also set my peak intensity interval to around 1 to 2 minutes, followed with 3 to 5 minutes of light to moderate intensity. Note though, the shorter the interval, the higher the peak intensity you will be able to maintain. So for short 20 second intervals, I will be working at 100% peak intensity, but for 1 or 2 minute intervals, I may be working at 80 to 95% of peak intensity. You simply cannot maintain the highest peak intensity for long periods of time. To summarize, for best fat loss results to reduce tummy fat, the best time to do cardio is first thing in the morning when your glycogen stores are depleted, and performing shorter duration, high intensity cardio session will work to elevate your metabolic rate for hours after you've completed your workout. 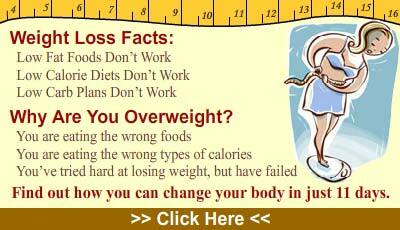 If you apply the above fat burning tips to your workouts, you will be able to achieve good fat loss results.